An exploration and comparison of the experiences of American Vietnam War veterans, and returning soldiers from the wars in Afghanistan and Iraq. 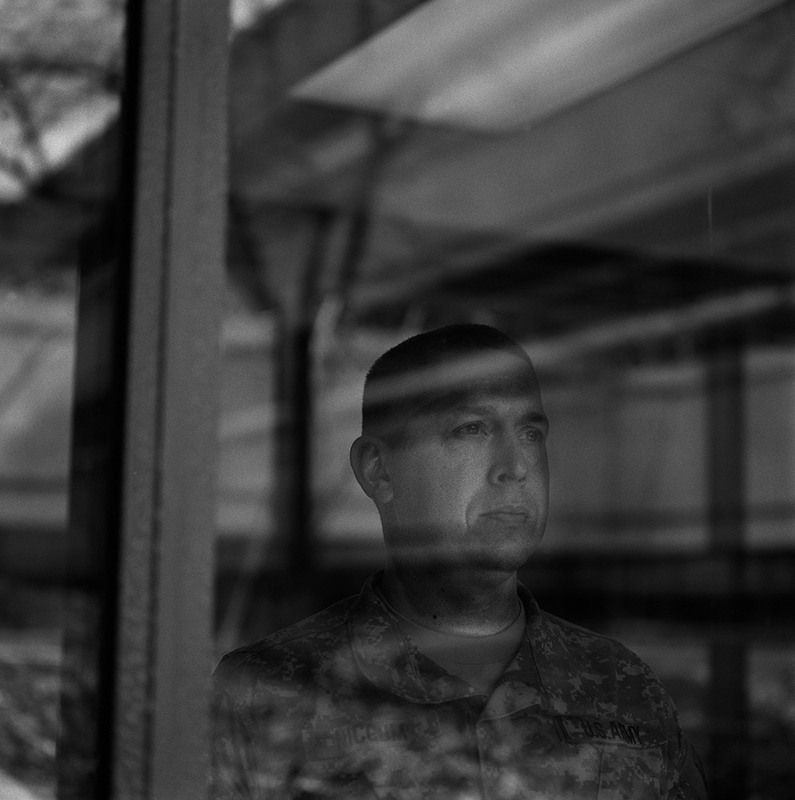 Palu’s project focuses on the emotional and psychological issues faced by soldiers who return from war and the long-term effects they deal with as they try to reintegrate into their families and society. 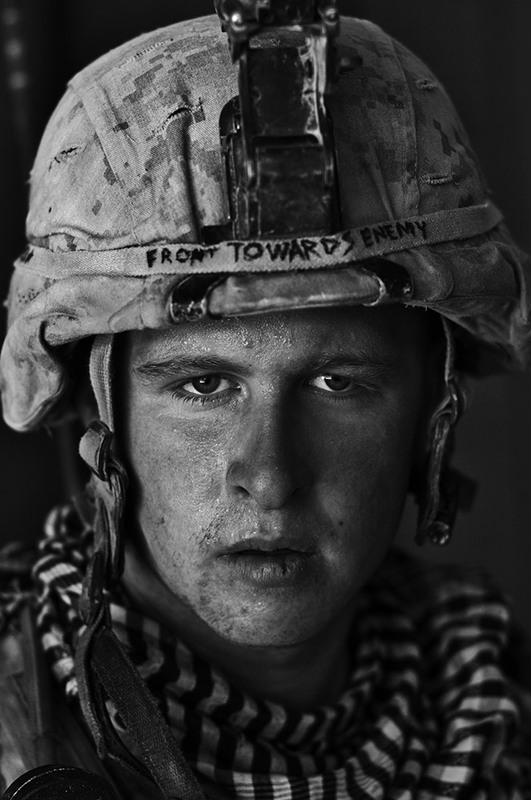 US Marine Joshua Wycka, 21, at Forward Operating Base Apache North, after a patrol in Garmsir District, Helmand Province. Joshua is from Plant City, Florida, and has done a tour in Iraq in addition to this tour of Afghanistan. 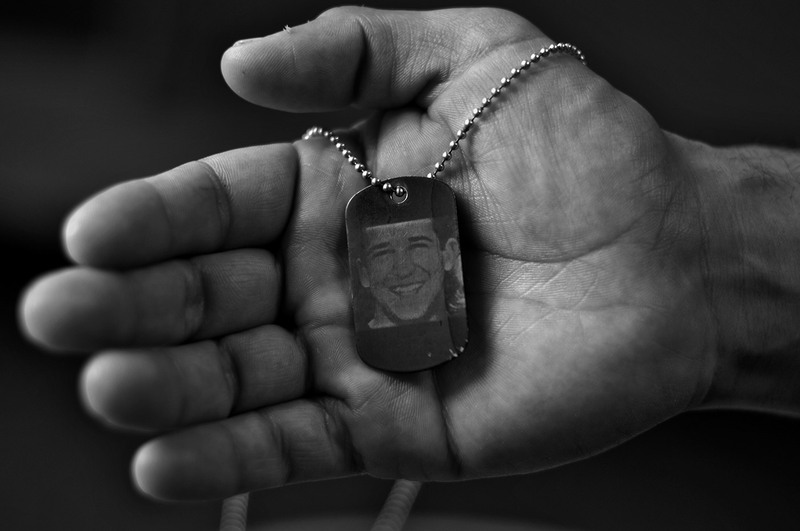 Michael Kacer, 27, from Scranton, Pennsylvania, holds a dog tag with a picture of his friend Medic Marc Retmier, 19, who was killed in Afghanistan in 2008. 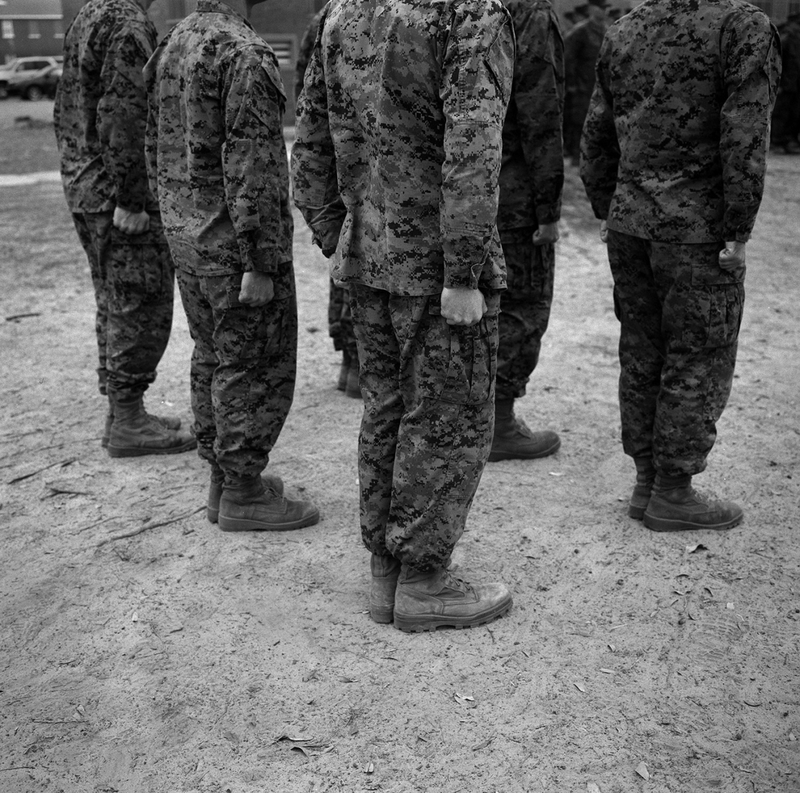 A group of US Marines standing at attention, four months after returning from a combat tour of Afghanistan to their base, Camp Lejeune, in Jacksonville, North Carolina. Marine Lcpl. 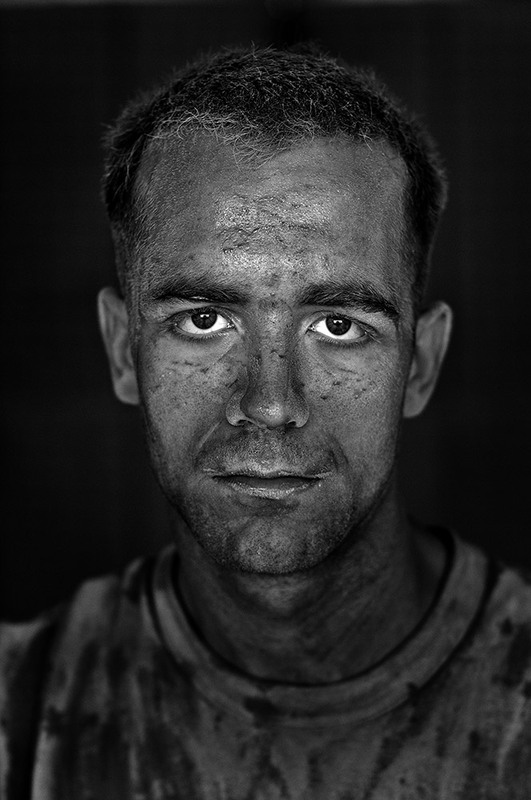 Patrick “Sweetums” Stanborough, 21, at Forward Operating Base Apache North, after a patrol in Garmsir District. Patrick is from Carmel, New York. He has done a tour of Iraq in addition to this tour of Afghanistan. US Marine Gysgt. 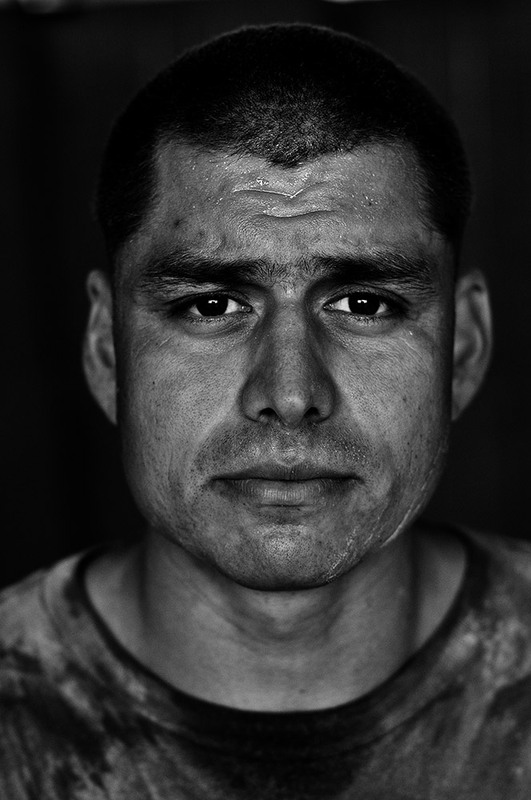 Carlos “OJ” Orjuela, 31, after riding in a convoy in Garmsir District, to Forward Operating Base Dwyer. Carlos is from New Jersey and has done one tour in Iraq in addition to this tour. 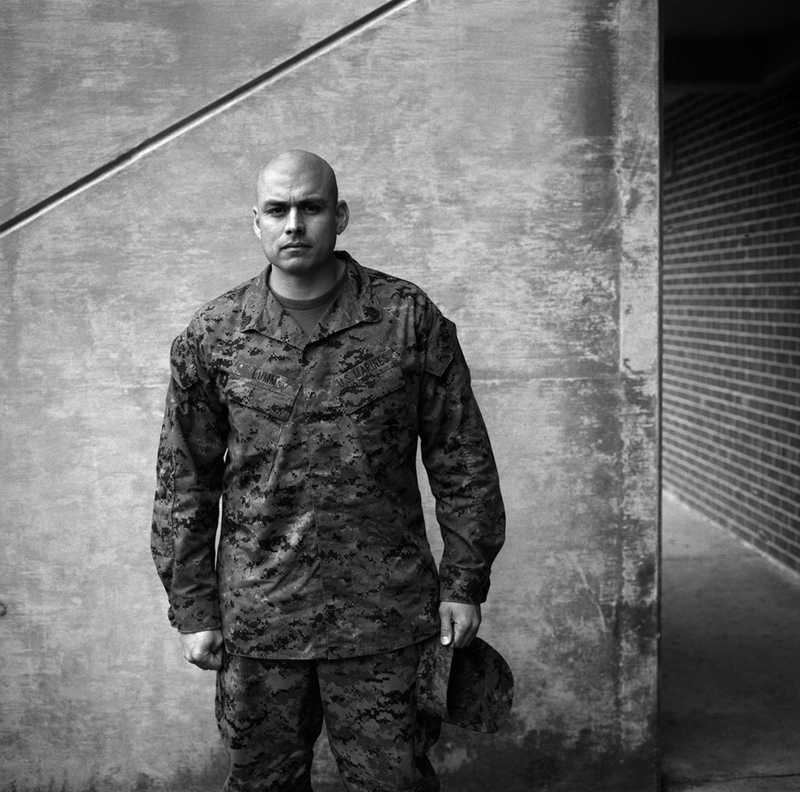 US Marine Gysgt. Julian Lumm, 31, after building an Observation Post with sand bags at Forward Operating Base Apache North in Garmsir District. 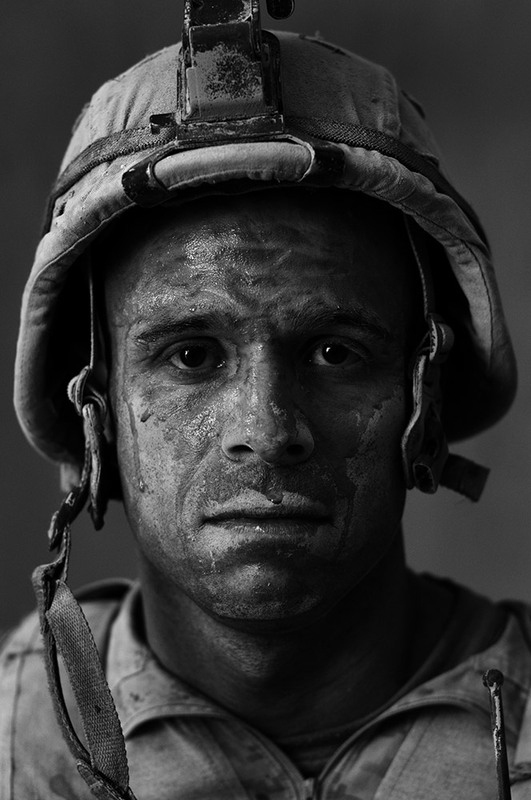 Julian is from Tucson, Arizona, and has done two previous tours of Afghanistan and two of Iraq. 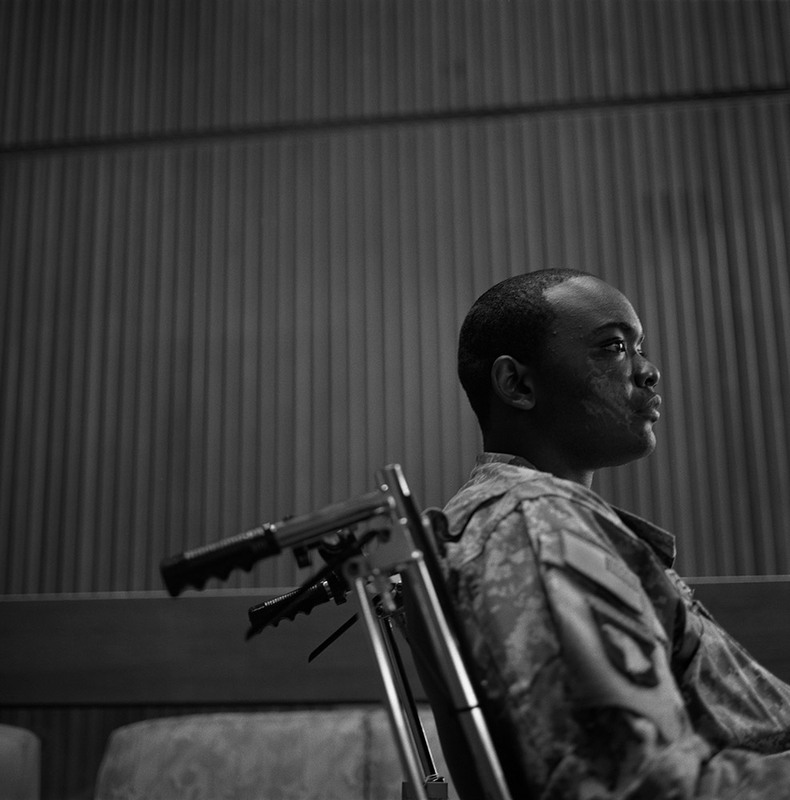 Maj. Kevin Niccum, Head Nurse of Ward 57 at Walter Reed Army Medical Center in Washington DC. Ward 57 is one of the wards that handle seriously injured members of the US Military from the wars in Iraq and Afghanistan. Spc. Donald Woodard, 26, of the 3rd 187th Infantry, at Brooke Army Medical Center in San Antonio, Texas. 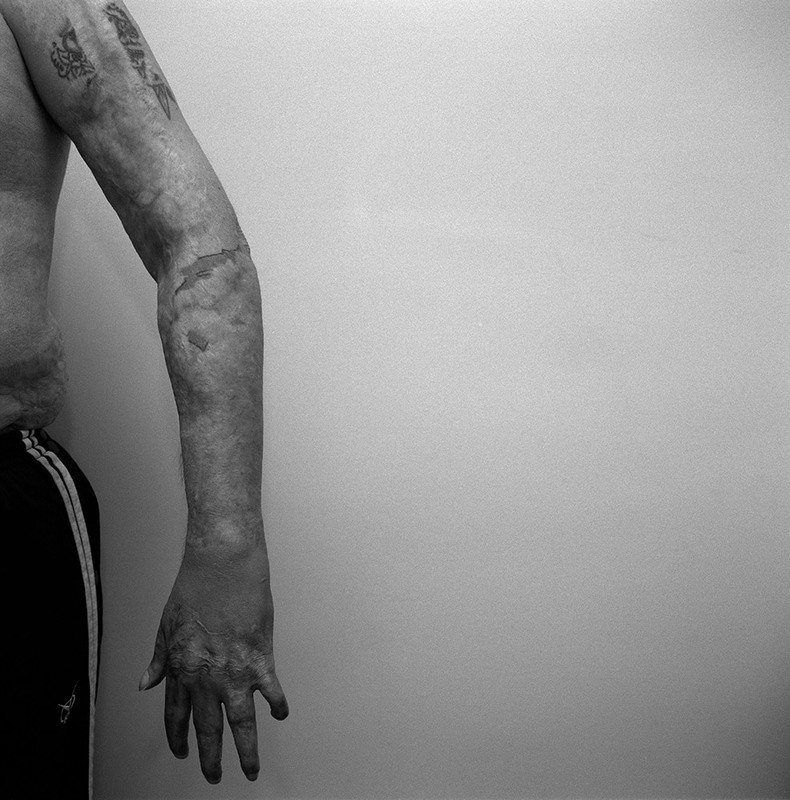 He was injured by a roadside bomb in Baghdad. 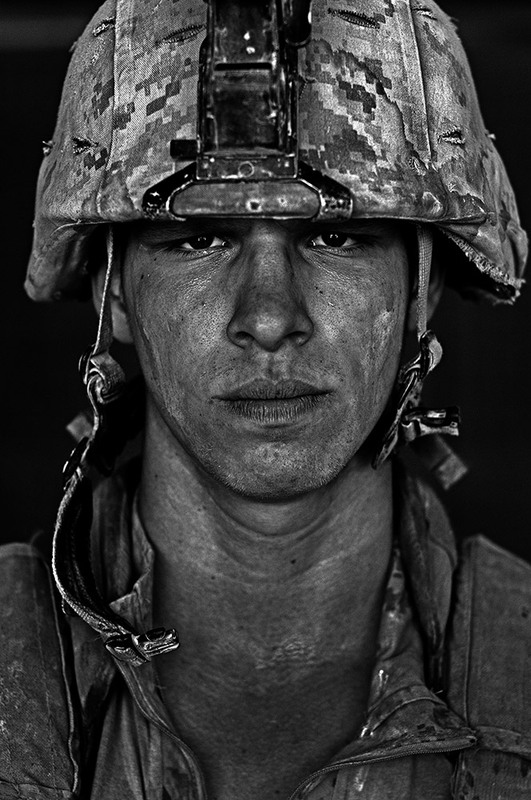 US Marine JD “Monte” Montefusco, 22, at Forward Operating Base Apache North, after a patrol in Garmsir District. JD is from Long Island, New York, and this is his first tour of Afghanistan. Prosthetic feet in a workshop for making prosthetics at the Walter Reed Army Medical Center. 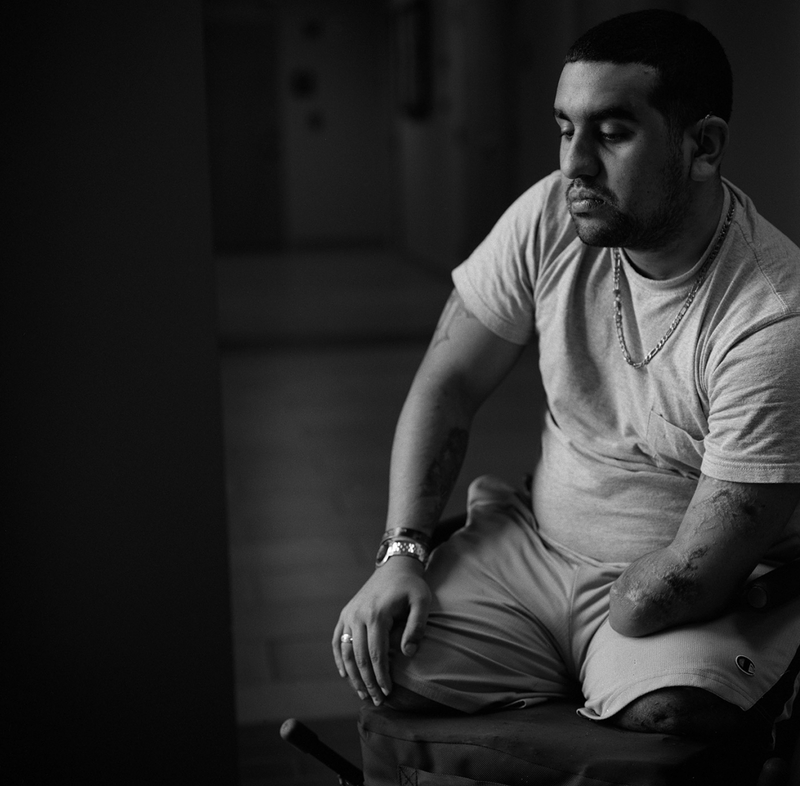 Luis Rosa-Valentin, 25, at Walter Reed Army Medical Center. He was injured while on patrol in Baghdad by an Improvised Explosive Device (IED). Vietnam Veteran Craig Barber, who served two tours in the war as a US Marine, at his home in Woodstock, New York. US Marine Sgt. Ronald Richards, 23, at Forward Operating Base Apache North, after building an Observation Post with sand bags. Ronald is from Chesapeake, Virginia, and this is his first tour of Afghanistan. US Marine Cpl. 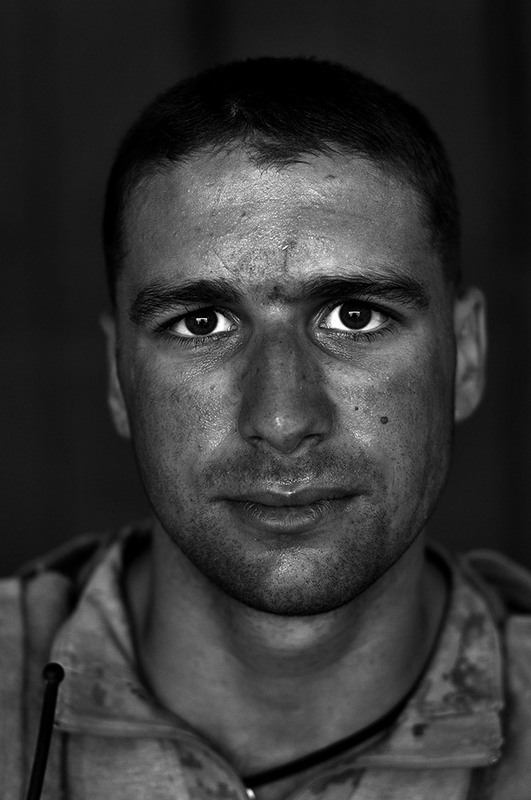 Philip Pepper, 22, after riding in a convoy in Garmsir District to Forward Operating Base Dwyer. Philip is from Tallahassee, Florida, and has done two tours of Iraq in addition to this tour of Afghanistan. 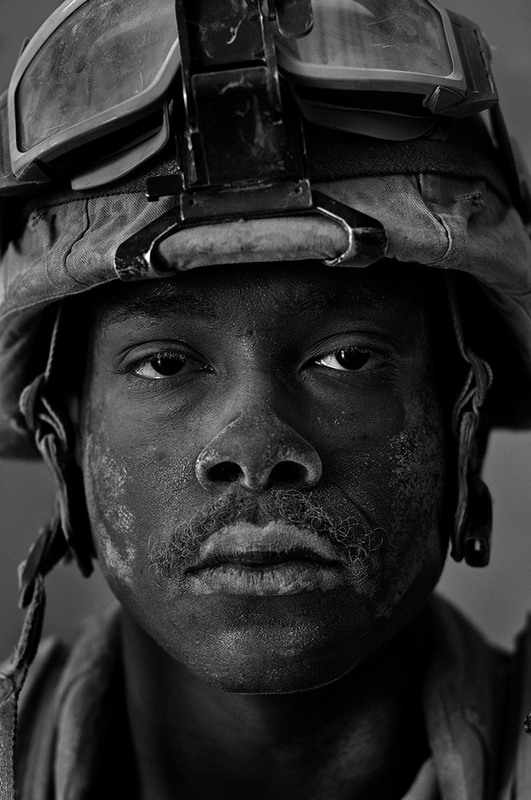 US Army Spc. Brent “Hoss” Hendrix, 24, lost his leg in combat in Anbar, Iraq, while serving with the 172nd Stryker Brigade. He is undergoing rehabilitation at the Walter Reed Army Medical Center. 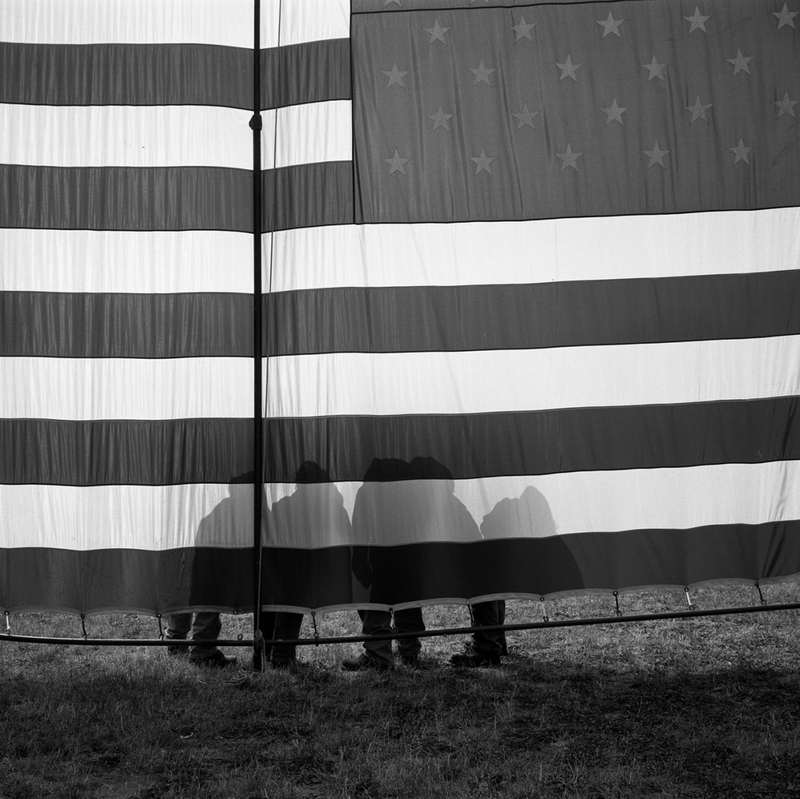 Vietnam Veterans standing in front of a US flag in Washington DC on Memorial Day. 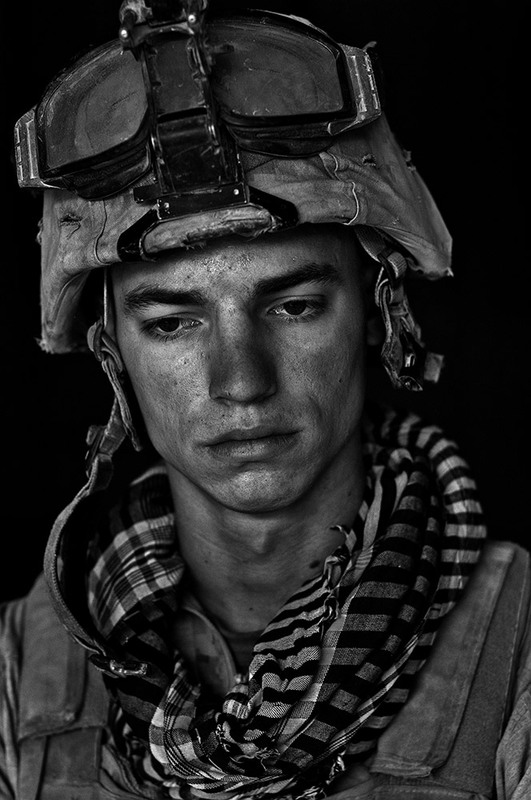 US Marine Lcpl. 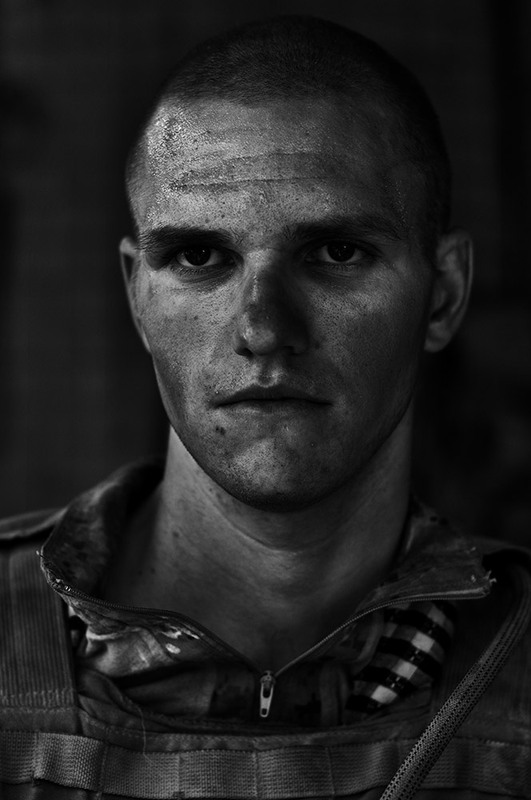 Theodore Dykstra, 23, at Forward Operating Base Apache North, after a patrol in Garmsir District. Theodore is from Denver, Colorado, and this is his first tour of Afghanistan. Sgt. Mathew Gibbons, 26, was injured by a grenade attack in Iraq. He is undergoing rehabilitation exercises for loss of vision caused by his injuries at Walter Reed Army Medical Center. US Marine Gysgt. 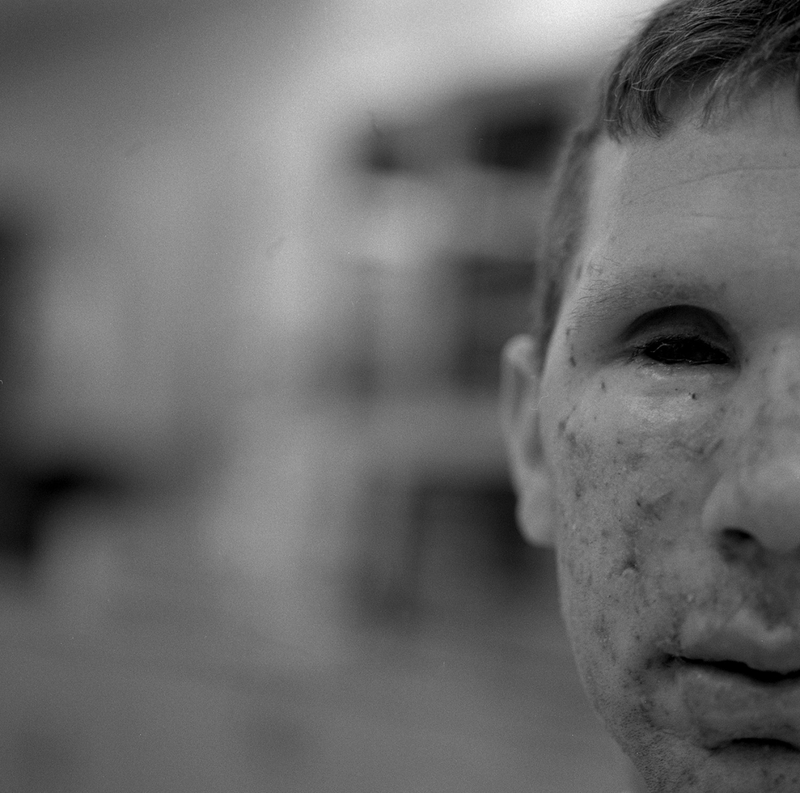 Julian Lumm at Camp Lejeune, four months after a combat tour of Afghanistan. Pfc. Quinterra D. Peake at Walter Reed Army Medical Center. 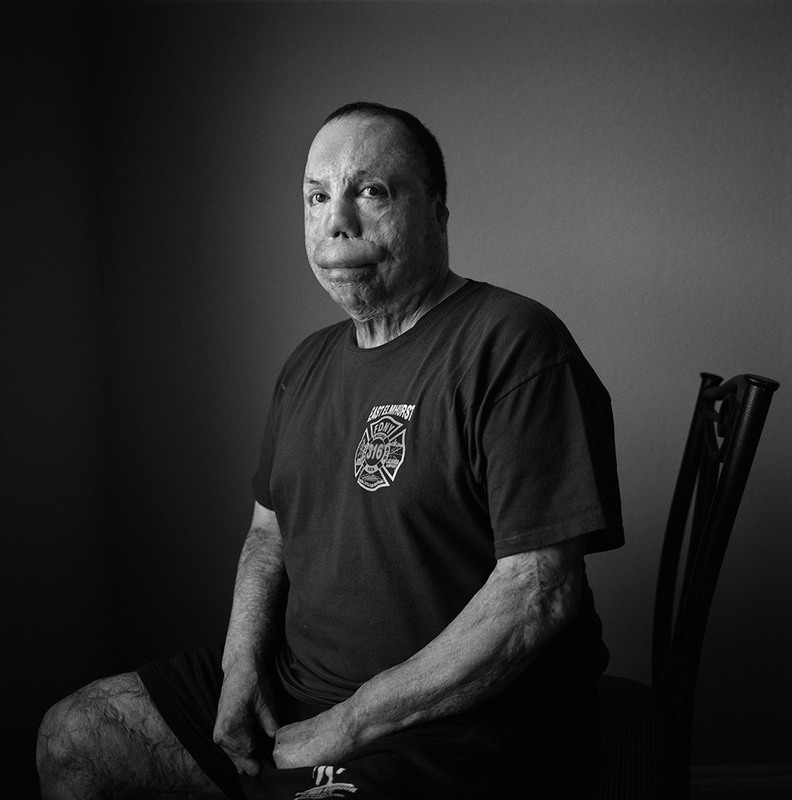 Peake was injured when a rocket-propelled grenade hit his tower in Camp Herrera, Afghanistan. Sgt. Israel Del Toro, at his home in San Antonio. Israel was injured by an IED in Kalat. Spc. Donald Woodard, 26, of the 3rd 187th Infantry was injured by a roadside bomb in Baghdad. He is being treated at Brooke Army Medical Center in San Antonio. US Marine Lcpl. Damon “Commie” Connell, 20, at Forward Operating Base Apache North, after a patrol in Garmsir District. Damon is from Las Vegas, Nevada, and this is his first tour of Afghanistan. It keeps pounding all night. The walls shake. It’s outgoing artillery. Following each blast the shell gently whistles and fades falling into the black landscape of my mind. There is blood on my boots. The wind from the helicopter gusts over the shredded bodies in the cabin, blowing drops of blood around the bird. I smell the blood, day after day. I see broken bodies and broken lives. Bleeding bandage-soaked stumps where there were once feet. Their eyes look to yours and you are helpless. Killing, cruelty, confusion, inhumanity and exhaustion to tears. Leaves you feeling numb, destroyed. Over time you don’t quite understand who you are anymore. This is war. Then it stops. Back home you no longer are or feel whole. Wounded now, forever. 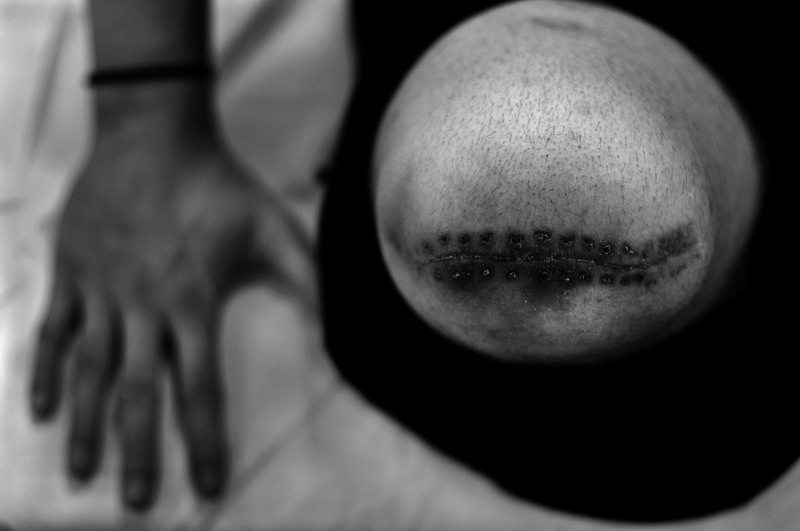 Scars develop and you spend the rest of your life trying to comprehend them. They run so deep that you return to the conflict night after night in your sleep. They are dark and blurred memories now. This is where all the crushing weight of the war catches up to you, not on the battlefield, but when you are home, echoes of the guns and screams living in your head. Your own personal war has just begun. When I was with the soldiers they seemed to have aged a lifetime over there. I now feel 1000-years-old. Perhaps what seemed most compelling is the search for that missing part of themselves, physical, emotional or psychological. It could be their legs or simply their souls looking to fill the crushing void left like a gaping wound in their hearts for the rest of their lives. Vietnam, Iraq, Afghanistan. Aftermath America, the home front. 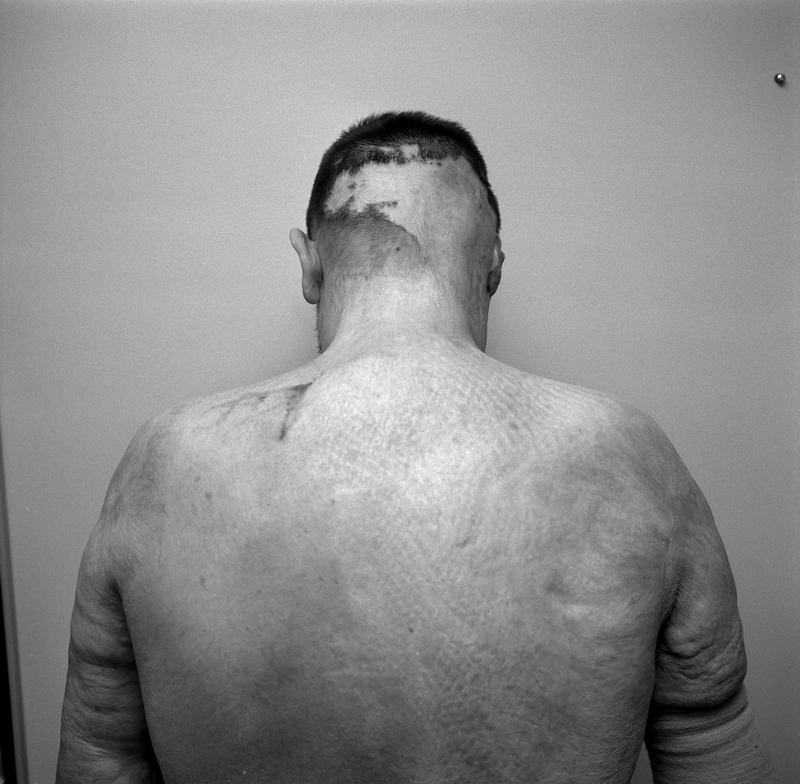 Louie's work has appeared in numerous books, catalogues, festivals and exhibitions internationally, which includes being selected for the photojournalism festival Visa Pour L'Image in Perpignan, France five times. Louie is the recipient of numerous awards including a Hasselblad Master Award and a Best of Photojournalism Award from the National Press Photographers Association in 2008, a Silver Medal from the Society of Newspaper Design for photography, Canadian Association of Journalism's award for photojournalism. 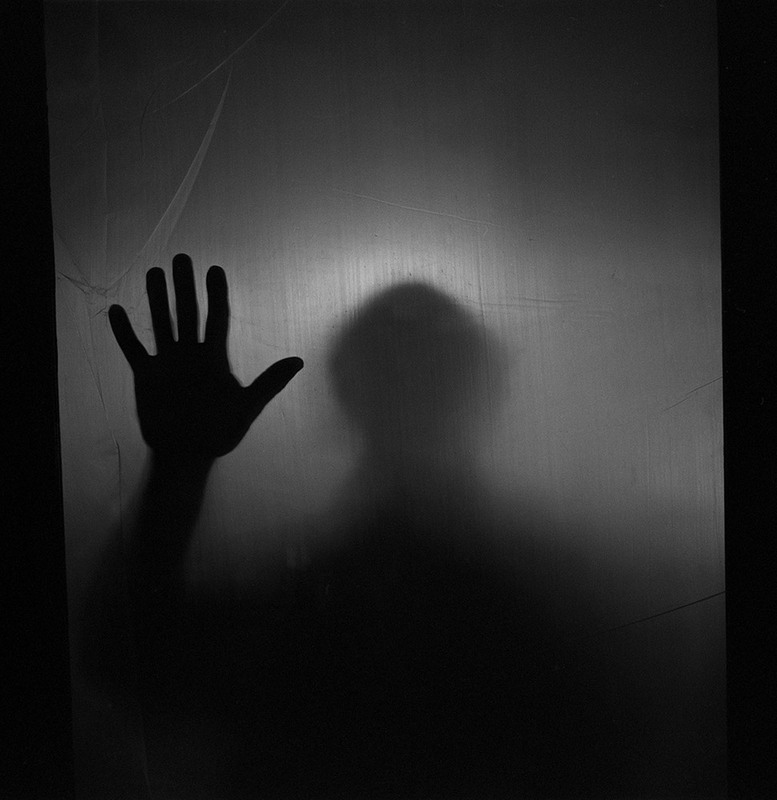 In 2006 he was selected for Wright State Universities Photography Now: one hundred portfolios, as one of a 100 photographers included in an international survey of photography, which was juried by curators from Europe, Japan and the United States. Louie's work is included in numerous private and public collections including the National Portrait Gallery of Canada, The Library and Archives of Canada, The Canadian Museum of Civilization, Portland Art Museum and George Eastman House International Museum of Film and Photography. His work has appeared in numerous print and web publications including Newsweek, Atlantic Monthly, The Washington Post, Forbes, USA Today, NPR and The Globe and Mail.